Эта страница есть на русском языке: Олбито. 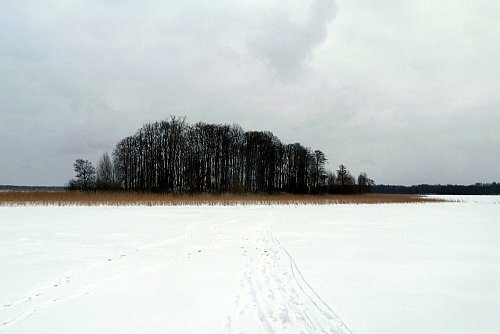 Lake Olbito, also Big Olbito (russian Большое Олбито, Bolshoe Olbito) is one of the many Sebezh lakes, belongs to the Daugava drainage basin. It has surface area of 7,63 km², average depth is 3,7 m with maximum of 7 m. Elevation is 141,2 meters above the sea level. 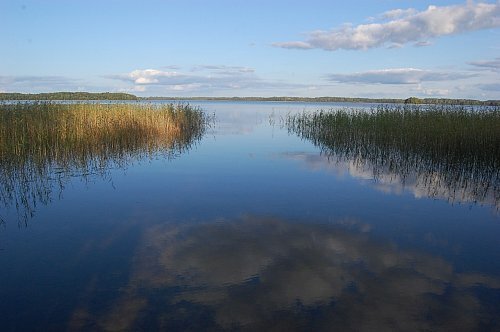 Nobody calls this lake Big Olbito anymore, because the Small Olbito is now called Anninskoe. On the east coast there are villages Boyarinovo and Rukovo, on the west coast — Chistoe Nebo ecovillage, at the north — Petrovino folwark, in the south — dead village Shalkovo. This lake has two islands, which are of some recreational interest and are accessible by boat; you can get a boat in Chistoe Nebo if you don't have one. 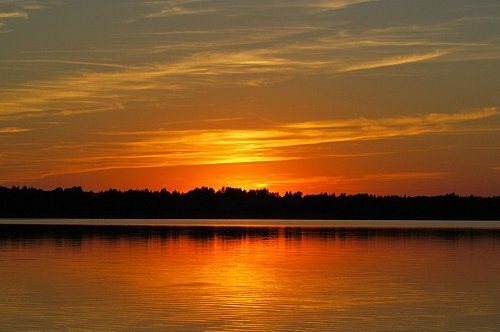 From this lake you can get to the Riga bay via rivers Nischa, Drissa (Belarus) and Daugava (Latvia). There are many kinds of fish in this lake, which you're allowed to catch with a fishing rod.